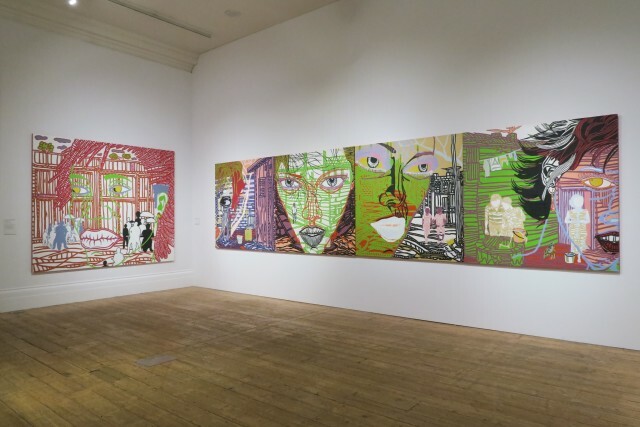 Solo exhibition of work by Boris Nzebo, entitled 'Urban Style', 24 June - 13 November 2016. 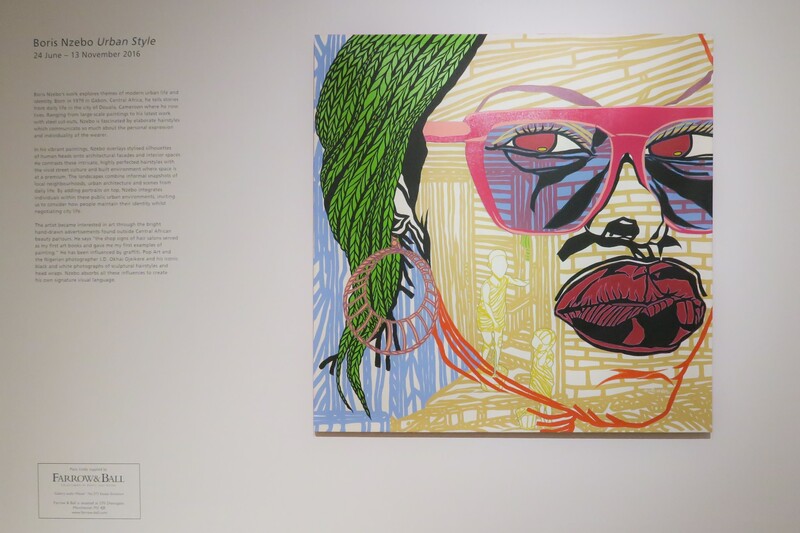 Boris Nzebo explores urban life through elaborate hairstyles and vibrant city views. 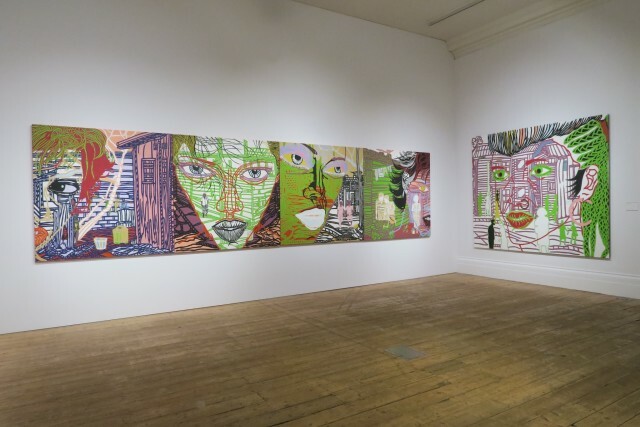 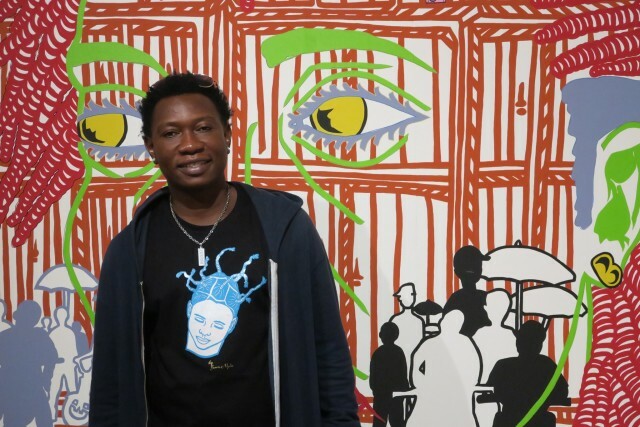 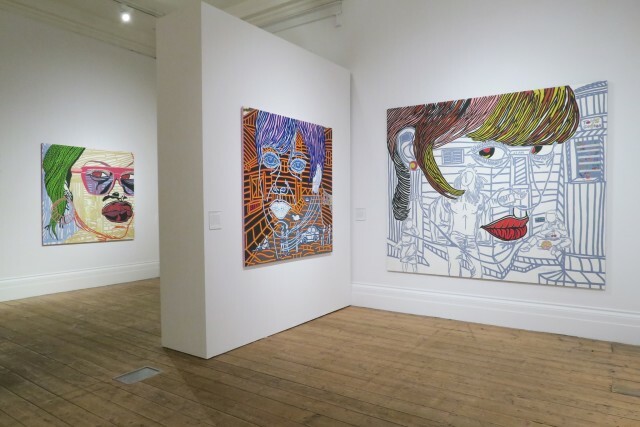 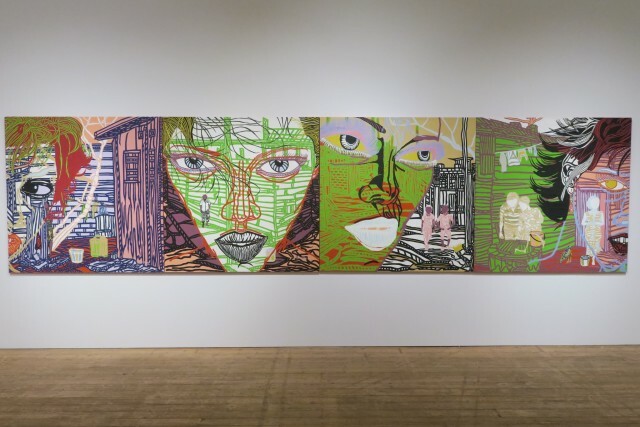 Urban Style, his first solo exhibition in a UK public gallery, presents Nzebo’s large-scale stylised silhouettes of human heads overlaid onto architectural facades and interior spaces in multi-layered scenes. Using intense colours and striking compositions, Nzebo invites us to consider this urban aesthetic – how people can be defined by their hairstyles and express their identity in a city full of urban encounters.